For years, Louisianans have felt the pain of an economy in decline, as jobs and opportunity flee the state for our friendlier, more inviting neighbors. Meanwhile, too many politicians have spent their time bemoaning the problems, while offering little in the way of real solutions. With some of the highest unemployment, tax and poverty rates and one of the slowest-growing wage rates in the nation, it’s unsurprising we continue losing more residents than we take in year after year. When you add up all of the factors that contribute to the weakened image of our state, the truth becomes clear: the failed status quo is simply not working. Louisiana has reached a pivotal point in its history. It is time to reject the broken “business as usual” approach and, instead, embrace a new, bold vision to benefit everyone in our state. What does this mean? It simple, really – implement sweeping, sustainable policy reforms to fix our fundamentally broken government, encourage quality job growth and promote opportunity for Louisiana’s job seekers and working families. Today, the Pelican Institute releases its “Jobs and Opportunity Agenda for Louisiana,” a road map for reclaiming Louisiana as a land of opportunity for all its citizens. This agenda is the result of months of data-crunching, research, analysis and consultation with experts from Louisiana and across the country. In crafting these solutions, our team sought to answer a basic question: given Louisiana’s unique resources, history and culture, what set of policies would best bring quality jobs and opportunity for all our citizens? Over the next several months, we’ll release deep dive reports outlining reforms to the following systems in Louisiana: budget, taxes, local government, criminal justice, education, legal and regulatory structures and Medicaid. These are big issues that make up large swaths of how our tax dollars are spent delivering services and running the state. They also make up the major areas that determine the availability of quality jobs, growth of wages, public safety and pathways to opportunity for those most at risk in our society. This is an earnest, thoughtful answer to Louisiana citizens’ requests – demands really – for solutions over rhetoric. Of course, many of these recommendations would upend powerful special interests who benefit from the status quo – often at the expense of the good of the state. That’s why success in accomplishing fundamental reform will require a groundswell of engagement from Louisianans of every walk of life and across the political spectrum. To that end, today is not just the release of a policy platform, but also the beginning of a major campaign to turn Louisiana around. Our team will be traveling the state speaking to groups, as well as engaging in debates and forums to make the case for true, fundamental reform. We’ve also launched an advertising campaign to highlight the deep challenges we face on a variety of major issues. 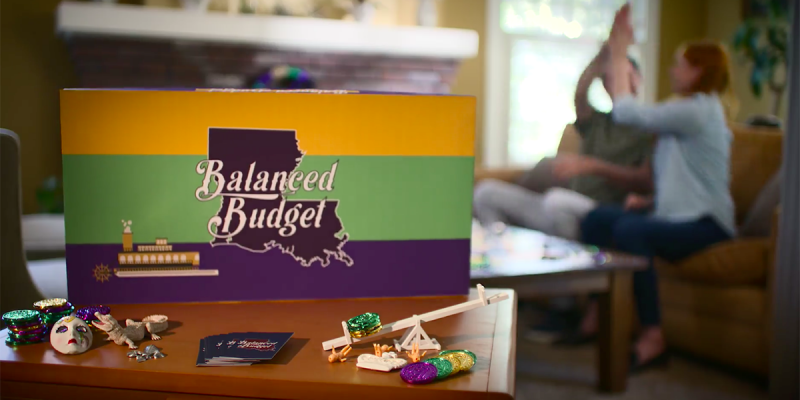 We’ve begun airing the first of these ads, which explores the many roadblocks to a balanced Louisiana budget. If you join us at one of our tour stops across the state, you might even get to play the board game featured in the ad! The time is at hand to blaze a new path and secure a bright future for Louisiana taxpayers, job seekers and working families. Over the next six months, Pelican Institute will lay out that vision and engage citizens across the state in joining the movement to demand change. It will then be up to our elected leaders to adopt it and carry it forward. To read and engage with “A Jobs and Opportunity Agenda for Louisiana,” visit PelicanInstitute.org and join the Pelican Institute communities on Facebook and Twitter. Previous Article We’re Just Nine Days Away From The Hayride’s 2018 Truth And Consequences Tour Event In Lafayette! Next Article Why Are People In New Orleans Still Getting Clearly Erroneous Water Bills?